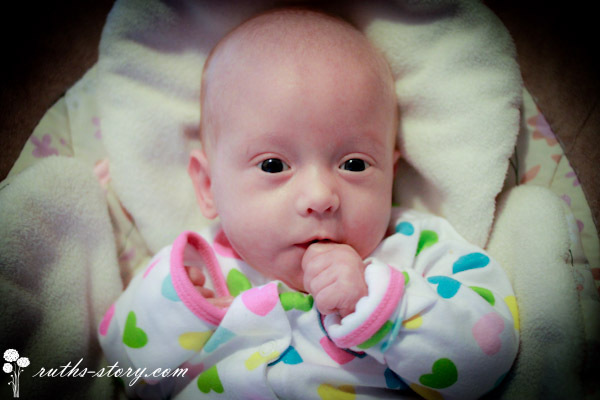 Ruth was weighed during her ECI evaluation, and has officially doubled in weight since birth! 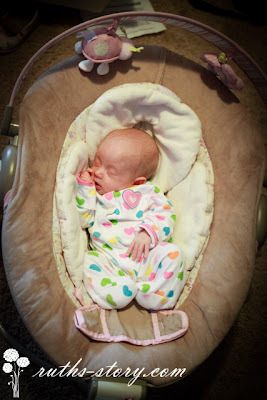 She is 7 lb 14 oz, as of about a week ago (born at 3 lb 15 oz)! 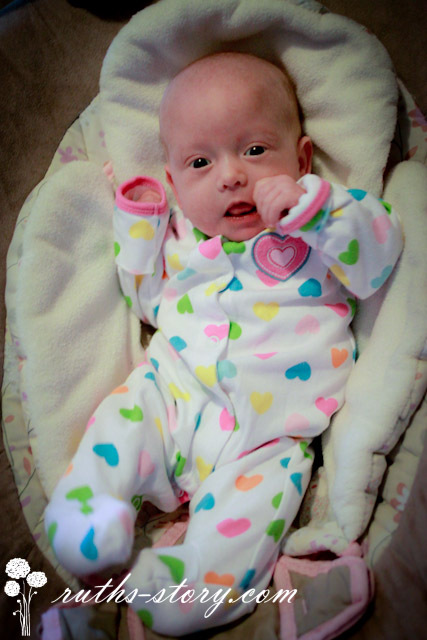 They adjusted for her prematurity, and she fell at 50% height, 50% weight. No new medical updates to report. She sees several specialists throughout this month. What adorable photos. Way to grow, Ruth!!! Wow! She is beautiful. We can't believe how big she has grown. You guys are in our thoughts and prayers always.